140-unit mixed-income apartment community opening Fall 2018 in Quincy. The Watson will feature eight studio, 85 one-bedroom, and 47 two-bedroom units. 26 units will be offered at market rate, 86 will be offered to households earning 110% of area median income (AMI) and 28 will be offered to households earning 50% of AMI. All residences at The Watson will feature market-rate finishes and have access to amenities including a gym, a community room, a courtyard, and underground parking. Crews are wrapping up finishing at The Watson in Quincy as the development plans to welcome its first residents on November 1st. The 140-unit mixed-income building will feature studio, one and two-bedroom units. Resident amenities will include a fitness center and community room. The project is located just 8 miles from Boston, near the MBTA Redline as well as a short drive from Quincy Center. Exterior finishing underway at The Watson in Quincy, MA. Installation of the building’s exterior facade is well underway. Metal exterior finish panels have been partially installed along the exterior of the building. Window installation is complete as well as weatherproofing of the structure. The 140-unit mixed-income apartment community is expected to open in 2018 in Quincy. It will feature eight studio, 85 one-bedroom, and 47 two-bedroom units. 26 units will be offered at market rate, 86 will be offered to households earning 110% of area median income (AMI) and 28 will be offered to households earning 50% of AMI. 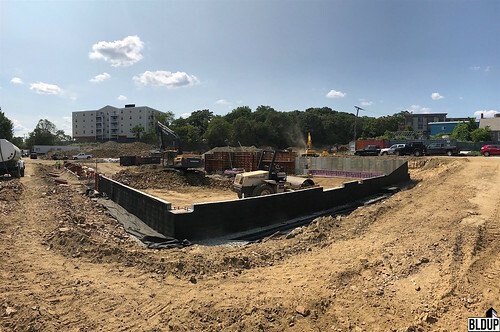 The Dellbrook | JKS construction team is hard at work constructing the foundation and underground parking structure of The Watson, a 140-unit mixed-income apartment community opening Summer 2018 in Quincy. Large vertical sections of concrete have already been poured along the foundation, and formwork is being erected in order to construct additional foundation sections. 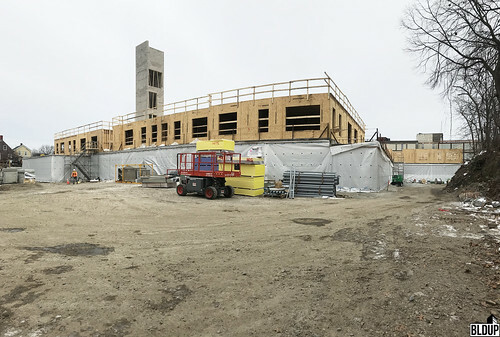 Following completion of The Watson’s foundation, the building’s steel first floor podium will be erected, after which the top four floors will be framed with wood.